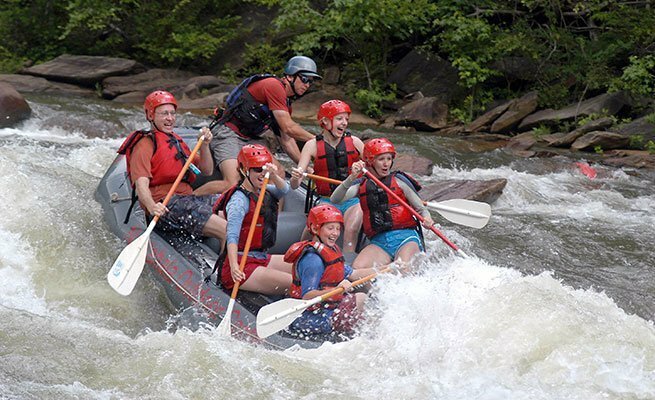 The Middle Ocoee earns its title as “America’s most-popular river trip” with continuous exciting rapids and big, splashy water. 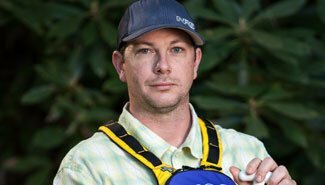 Many rafters consider the Ocoee’s intensity and difficulty “just right,” providing compelling river action but never becoming extreme. 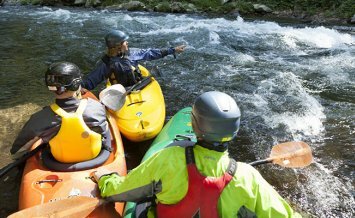 Highlights of the run—and there are many—include huge waves at Double Trouble, fast, frenzied currents at Tablesaw and the boat-drenching punch through Hell Hole rapid. A greatest hits collection of whitewater rapids, don’t be surprised if everyone has a different favorite part. NOC’s Ocoee outpost is located just a few minutes off of Hwy 64, with ample parking and shaded picnic tables. Located adjacent to the Ocoee Retreat Center off Highway 64, make sure to follow the signs to NOC's Rafting Outpost. 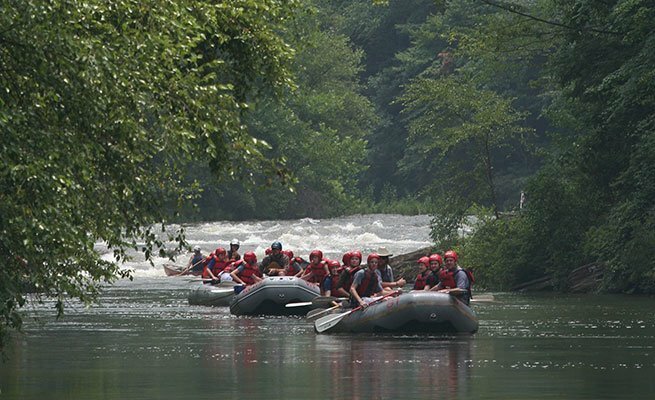 The main office at the Ocoee Retreat Center cannot check you in for your rafting trip. Please allow for extra drive time due to construction. From Atlanta: Take I-75 N. Just past Cartersville, take Exit 293 onto US 411 North. 9-miles past the GA/TN state line, turn East onto US 64 toward Murphy, NC. After 1.5 miles turn right on Old Federal Road (look for NOC signs at this turn). Travel 1-mile and take a left onto Sloans Gap Road (gravel road). Drive for 1.6 miles and take a right onto Hawkins Drive (gravel road). This road ends at the NOC Ocoee Outpost. Follow the signs to check-in. Please allow for extra drive time due to construction. From Chattanooga, TN: Take I-75 North towards Knoxville, TN. About 22 miles from Chattanooga take the first Cleveland, exit 20, onto US 64 Bypass East. Drive 6 miles. Take the Ocoee exit for 64 East towards Ocoee/Murphy. Continue for 9-miles and turn right onto Old Federal Road (1.5 miles past the junction of US 64 and US 411). Look for NOC signage at this turn. Travel 1-mile and take a left on Sloans Gap Road (gravel road). Drive 1.6 miles and take a right onto Hawkins Drive (gravel road). This road ends at NOC's Ocoee Outpost. Follow the signs to check-in. Please allow for extra drive time due to construction. From Knoxville, TN: Take I-75 South towards Chattanooga. Take the second Cleveland exit, exit 25. Drive through Cleveland and after 5 traffic lights, the roads turns into a freeway. Take Ocoee exit for 64 East towards Ocoee/Murphy. Continue for 9-miles and turn right onto Old Federal Road (1.5 miles past the junction of US 64 and US 411). Look for NOC signage at this turn. Travel 1-mile and take a left on Sloans Gap Road (gravel road). Drive 1.6 miles and take a right onto Hawkins Drive (gravel road). This road ends at NOC's Ocoee Outpost. Follow the signs to check-in. Please allow for extra drive time due to construction. From North Carolina: Drive into TN on US 64 West (from Murphy, NC). 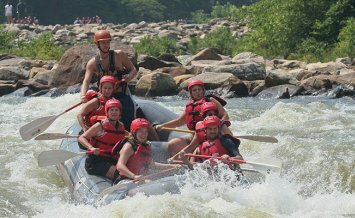 Pass the Ocoee River and continue 12-miles past Lake Ocoee, rural farmland and the Lower Ocoee River. 1.5 miles past the Lower Ocoee River Bridge, turn left onto Old Federal Road (look for NOC signs at this turn). Drive 1-mile and take a left onto Sloans Gap Road (gravel road). Drive another 1.6-miles and turn right onto Hawkins Drive (gravel road). This road ends at NOC's Ocoee Outpost. Follow the signs to check-in.